When I recently visited the National Portrait Gallery’s current exhibition, Virginia Woolf: Art, Life and Vision, I was delighted to discover several gorgeous photographs by Julia Margaret Cameron displayed in the first room. Here was a connection between one of my favourite writers and my favourite photographer; I had previously been aware of Woolf’s familial ties to Cameron, but seeing the latter’s beautiful photographic portraits of Victorian cultural greats displayed alongside images of the former really brought it home. Woolf is often described as boldly departing from Victorian traditions, a leading light of literary Modernism — this is certainly true of her writing, with works such as To the Lighthouse (1927), Mrs Dalloway (1925) and Jacob’s Room (1922; my personal favourite) taking the English novel in far more experimental directions. Nevertheless, the inclusion of Julia Cameron in the NPG exhibition got me thinking about Woolf’s ancestry and artistic background. Julia Margaret Cameron, ‘Julia Prinsep Duckworth (later Julia Stephen)’, April 1867. Julia Stephen was Virginia Woolf’s mother. Source. Julia Margaret Cameron, ‘My niece Julia full face’, April 1867. Source. Although she was a key member of the progressive Bloomsbury Group, which sought to shake off the restrictive social mores of the previous century and their parents’ generation, Virginia Woolf’s heritage was deeply Victorian. 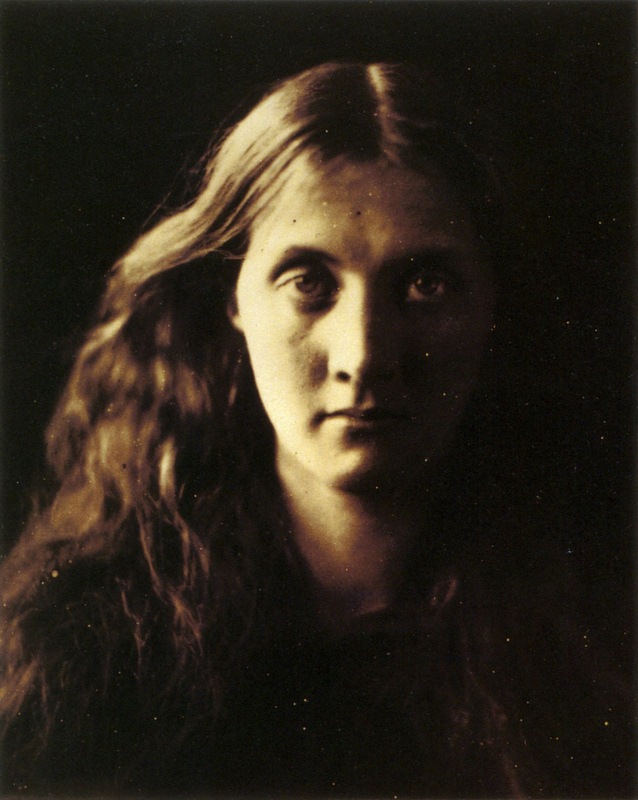 Her mother, Julia Stephen (née Jackson, formerly Mrs Duckworth from her first marriage), was famed for her beauty, a former model for Edward Burne-Jones and George Frederic Watts who was also photographed extensively by her aunt Julia Cameron (above). 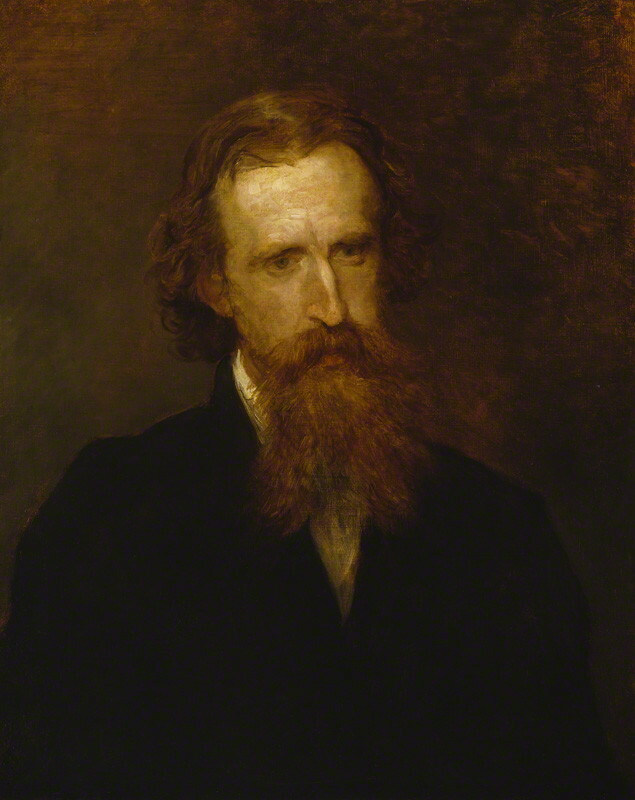 Meanwhile Virginia’s father, Leslie Stephen, was an eminent Victorian author and critic, the editor of twenty-six volumes of The Dictionary of National Biography and a trustee of the National Portrait Gallery; he was also photographed by Cameron and painted by Watts (below). They were two impressive, imposing figures in Virginia’s early life, exerting a powerful influence upon her long after their deaths — she famously wrote To the Lighthouse as a kind of elegy to them and her childhood memories of summer holidays in St Ives. George Frederic Watts, ‘Sir Leslie Stephen’, 1878. Virginia Woolf’s father. Source. Virginia grew up surrounded by her great-aunt Julia Cameron’s photographs and hearing anecdotes from Julia Stephen about the bohemian artistic circle at Little Holland House of which her mother had once been a part. 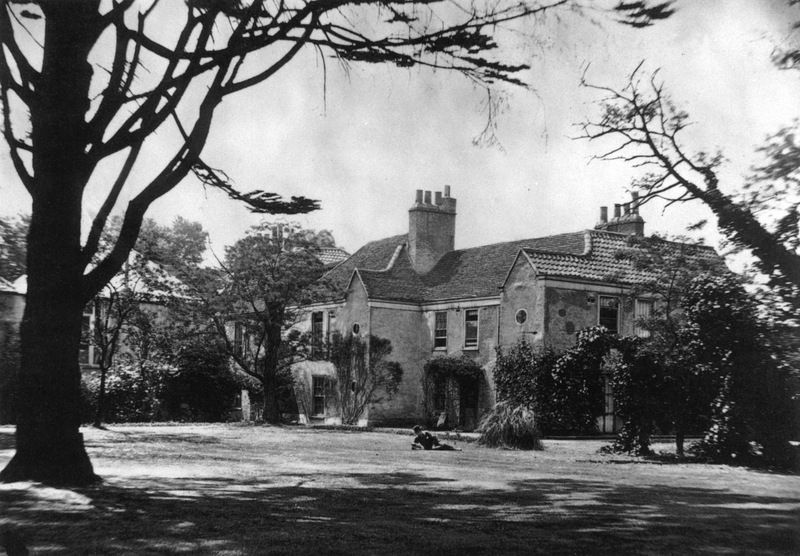 The house was frequented by G. F. Watts, John Ruskin, Tennyson, Burne-Jones and Robert Browning among others, and although Woolf never visited it (it was demolished in 1875, seven years before her birth) she appears, according to Frances Spalding, to have been ‘haunted’ by the house and its associates. In 1923 she wrote her first and only play, Freshwater, a frivolous parody centred around G. F. Watts’s rather disastrous marriage to the actress Ellen Terry, who was thirty years his junior. Julia Margaret Cameron also features prominently, as the play is set in Freshwater on the Isle of Wight where Cameron (and also Tennyson) lived and worked. On the one hand this burlesque was Woolf poking fun at her Victorian heritage, turning it into a farce; on the other hand, the fact she chose the Little Holland House set as a subject matter reveals her preoccupation with the past, and the play’s sometimes very obscure references to specific Victorian painters indicates a familiarity with their history. The parodic tone is affectionate rather than vitriolic, and it was only performed once, in the art studio of Virginia’s sister Vanessa Bell. View of Little Holland House, before 1875. The home of George Frederic Watts and Thoby and Sarah Prinsep. 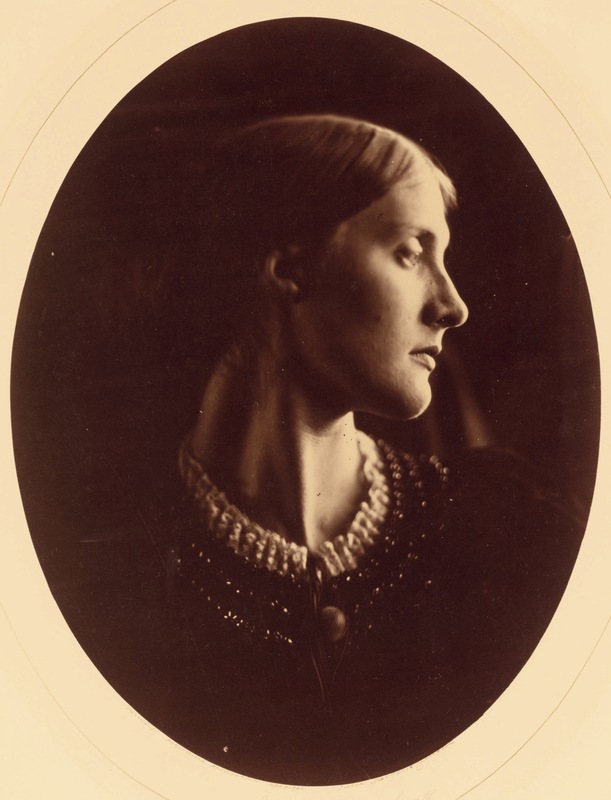 Sarah, who was Julia Stephen’s aunt along with Julia Margaret Cameron, hosted the artistic scene at the house, which included Tennyson, Burne-Jones and Ruskin. Source. 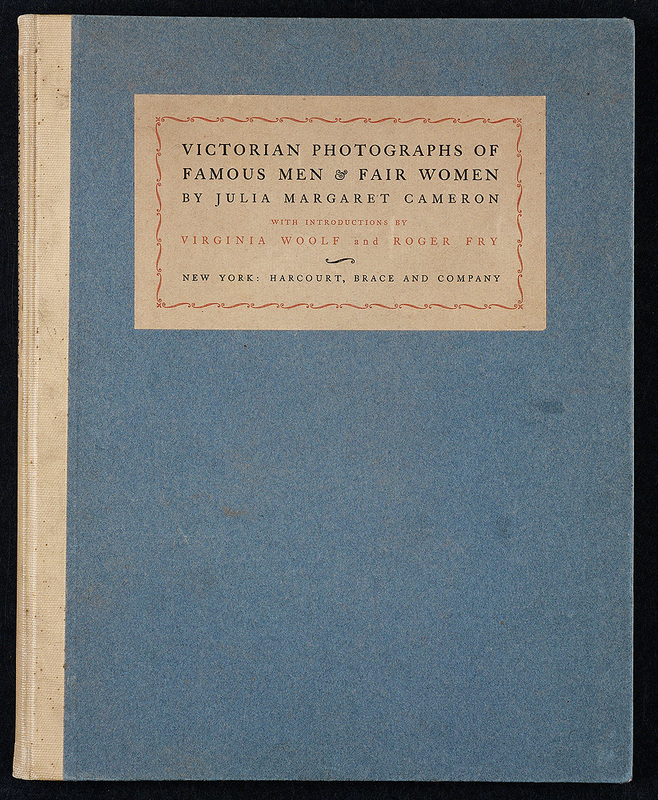 ‘Victorian Photographs of Famous Men & Fair Women by Julia Margaret Cameron’, published by the Hogarth Press in 1926. Source. There are many more connections between Woolf and the Victorian art world which I am yet to pick up on. The National Portrait Gallery’s exhibition provides a fascinating introduction to Virginia’s nineteenth-century heritage, and also explores the close relationship between writing and painting in her work. Vanessa, Virginia’s sister, was a painter influenced by more modern, experimental methods of painting which distinguishes her paintings from the likes of Watts, Burne-Jones and Rossetti. In fact, when she and Virginia went to see the Watts memorial exhibition at the Royal Academy in January 1905 they became disillusioned by what they saw through maturer eyes, with Virginia writing: ‘The Watts show is atrocious; my last illusion is gone. Nessa and I walked through the rooms almost in tears. Some of his work — indeed most of it — is quite childlike.’ This indicates that the revered, magic world of the Victorians — revered and made magical by tales from their mother — was suddenly losing its charm. And yet, in spite of this, when Vanessa moved from the Stephen family home at Hyde Park Gate, Kensington, and into 46 Gordon Square, Bloomsbury, she chose to hang Julia Margaret Cameron’s photographs of great Victorians and portraits of her mother in the entrance hall. The relationship between the Victorians and the ‘Bloomsberries’ remains ever complex. Virginia Woolf: Art, Life and Vision, is on view at the National Portrait Gallery, London, until 26 October 2014. 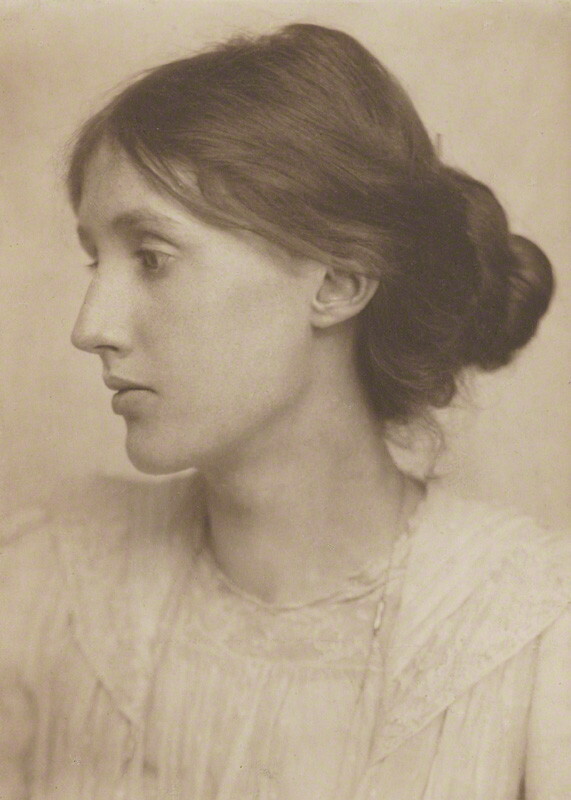 George Charles Beresford, ‘Virginia Woolf’, July 1902. Source. Beresford’s portraits of Woolf capture the beauty she inherited from her mother, and have become fixed in the popular imagination. 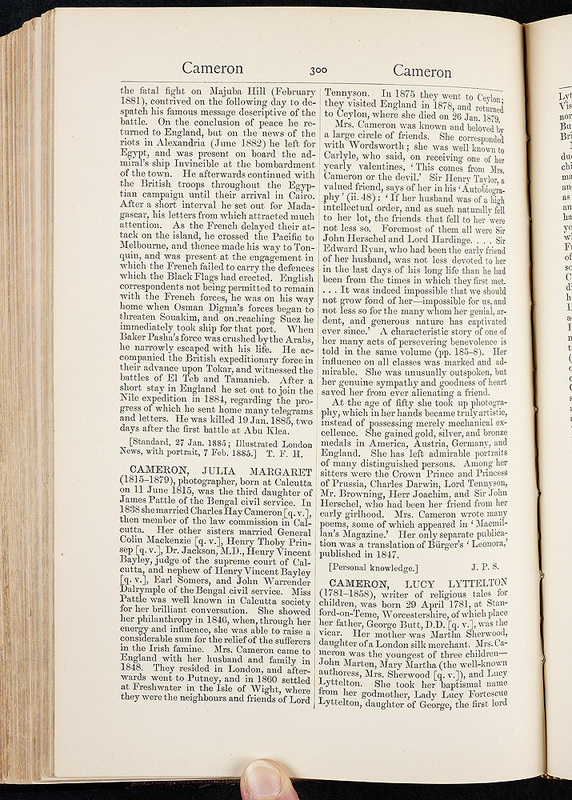 Much of the information in this post was found in the excellent exhibition catalogue of the NPG exhibition, Virginia Woolf: Art, Life and Vision by Frances Spalding. Listen to a talk on the exhibition with Alexa Wilding and Frances Spalding on BBC Radio 3’s Free Thinking here (play begins at the relevant point in the programme). A generous selection of Julia Margaret Cameron’s photographs can be viewed in high-resolution on the Google Art Project.